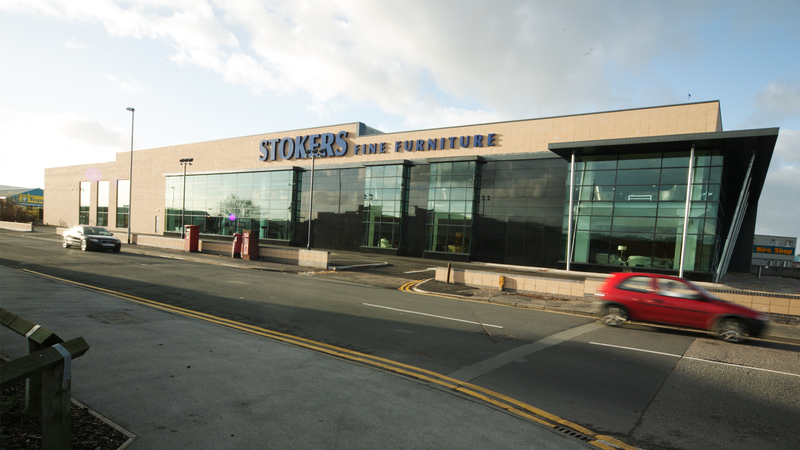 The practice has worked on a range of stores for Stokers Fine Furniture, delivering part new build and part refurbishment for new build stores. 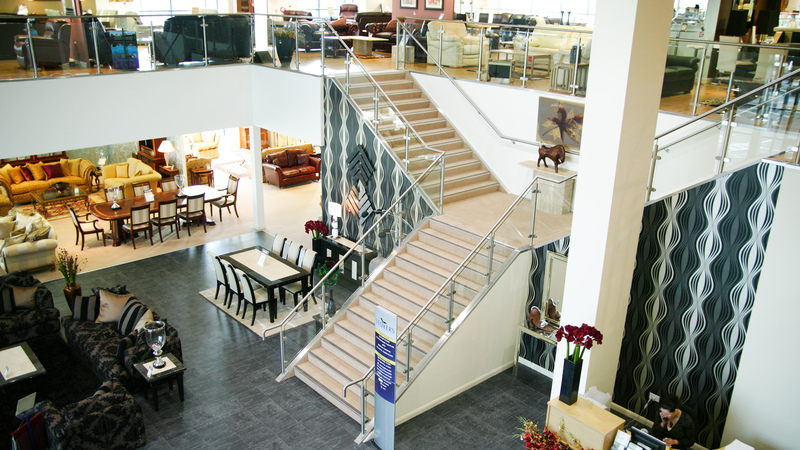 The commission involved the refurbishment of retail areas within an existing furniture store. 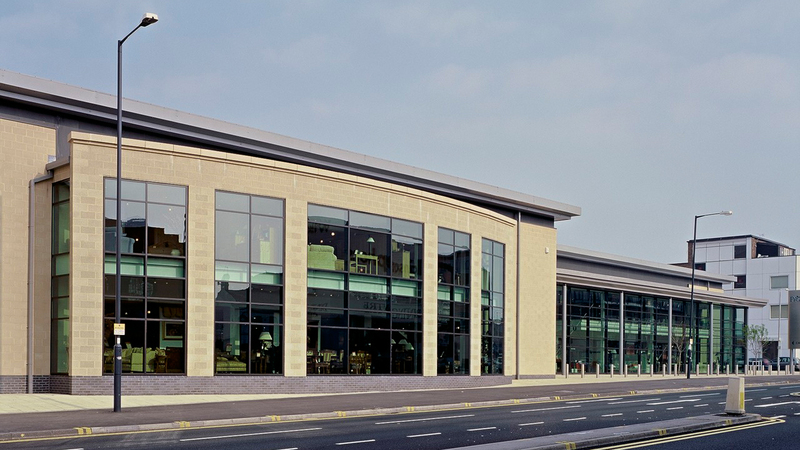 The design was developed in consultation with the client and the local authority and generates pitched roof forms that echo the mill buildings in and around the town. 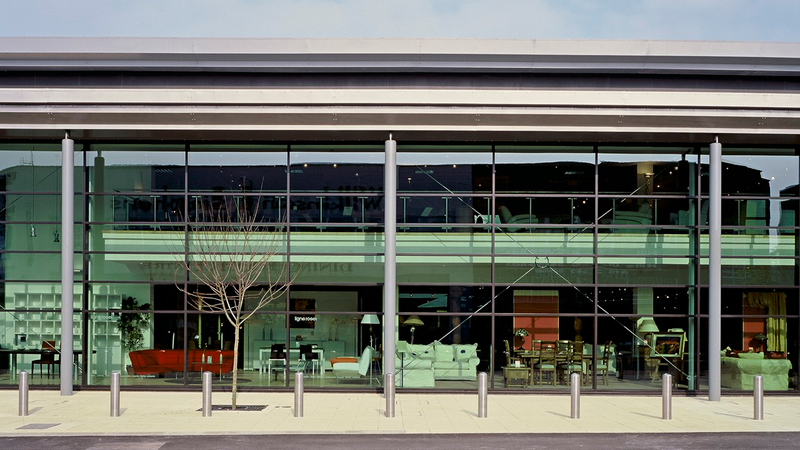 Additions to the store included light steel sections supporting continuous glazing with a standing seam aluminium roof, deliberately contrasting to the solidity of the existing Yorkshire sandstone facades. 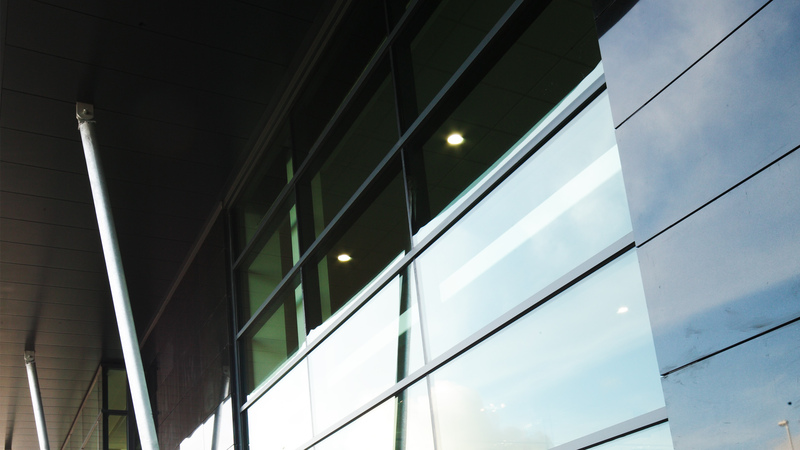 The glazed facades provide views in to the store and shop frontage for product display. 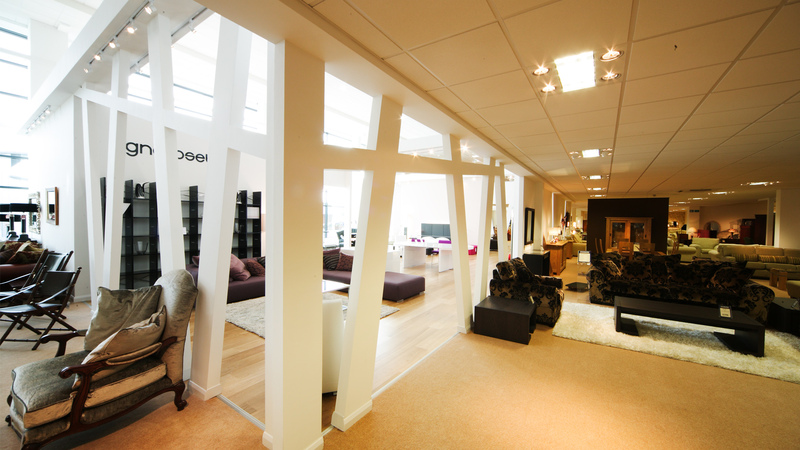 The extensions provided an additional 200 sq m of retail accommodation.